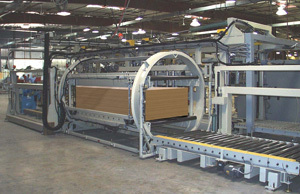 Printing Automation Equipment for the Wood and Related Industries – Creative Automation, Inc. Custom automated material handling equipment by Creative Automation allows a printing operation to fully achieve its potential. Feeder with intermediate forks for uninterrupted high speed flow of panels. 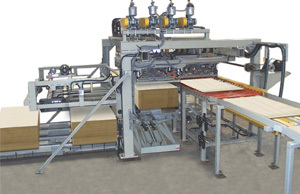 Multiple stackers, one for each panel grade. 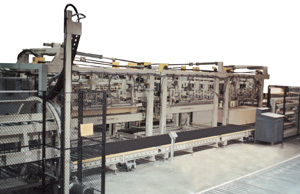 In-line bunk turnover automatically inverts stacks that need printing on the second side.